we feel the need… the need to feed! 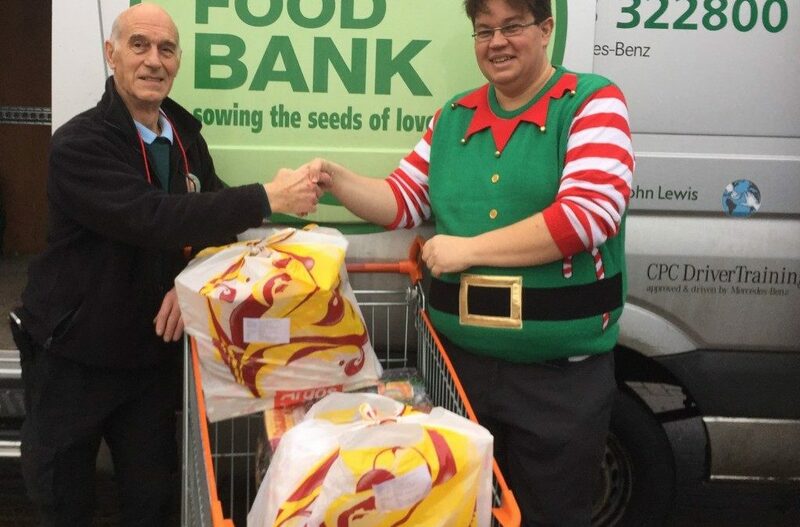 This week we are supporting the work of the MK Food Bank. They have a great scheme where you can create and donate hampers to help a struggling family have a bit of festive respite! It’s not just about ticking the CSR box though, it’s about respecting our fellow human beings and holding no judgement against each other. Studies have shown that spending money on ourselves doesn’t considerably improve our sense of contentment or wellbeing, whereas giving to others is directly correlated with an increased sense of happiness. Giving is like an emotional transaction. Even though all of us would like to think that our sense of wellbeing, political freedom, and personal achievements are the consequences of our own hard work, we know that none of these are achievable without essential material conditions: food, clean water, shelter, basic health care and political stability. Inequality leads to violent crime; they are not only connected, but a distinct causal relationship has been found time and again across the world and within countries with varying levels of equality. Giving lets us work toward building a better world—one that’s safer, healthier, more stable, and happier for all of us. AND what would happen if we found ourselves in a difficult place? We’d want to feel that our fellow humans beings would lend a hand too. Most of us know that while we may work hard, there are external factors that help bring our efforts to fruition, and these external factors largely depend on where we live. Being born into an affluent nation greatly increases our chances to benefiting from good infrastructure, healthcare, access to education, and the availability of stable jobs. For the poor, unwell, disabled, mentally ill, etc this can mean the chances that their hard work will pay off are greatly diminished. Mere daily survival is all-encompassing. Have you ever felt compelled to help someone – an instinctive reaction as you witnessed a struggle and recognised that you were capable of support? Whether it is a person stumbling on the street or falling on hard times because of illness, whether it is someone close to us or a complete stranger – our first impulse is to help AND most of us will also be familiar with how it feels to fight against our impulse to help. We also know the guilty feeling after we decide not to help someone who is clearly in need. We had a great time choosing the contents of our Food Bank Hamper this year and it is so warming to be able to make a little difference. 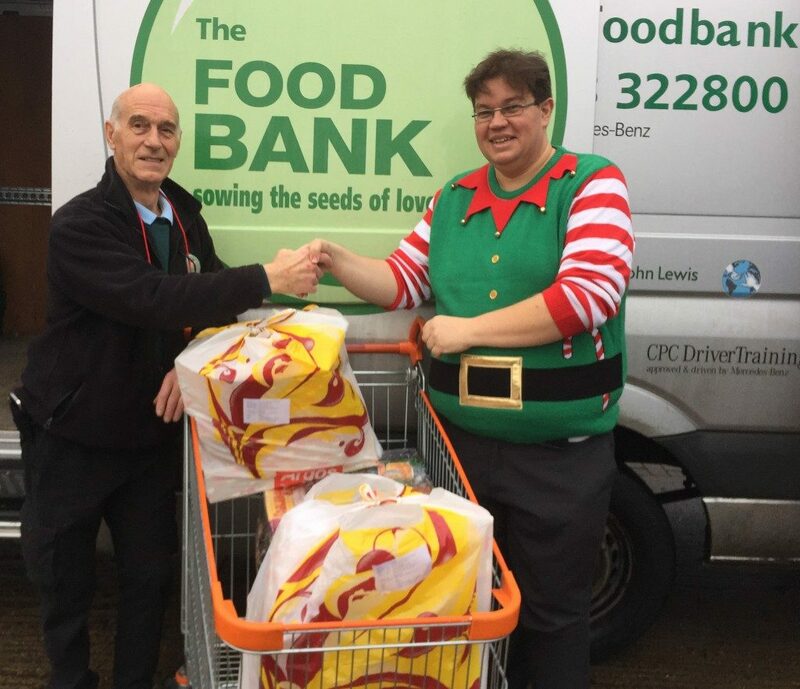 Visit the MK Foodbank website or call 01908 322800 if you’d like to help too!